Patients undergoing IV (intravenous) therapy typically have fluids introduced to their veins intravenously through a small catheter needle. The needle is usually inserted in the hand or arm to deliver medications in fluids separately or simultaneously. IV therapy is considered a convenient and quick option for administering medications. However, the therapy is not 100 percent reliable or safe. Serious complications can arise when using a catheter into the vein such as IV infiltration where the medication or fluid is intravenously infused into surrounding tissue. Complications can develop when the catheter is improperly placed and inserted, or through inadequate monitoring by the medical staff. Every patient has an expectation that doctors, nurses and medical facilities are providing the highest level of care during every procedure. However, when a substandard level of care causes serious injuries, the medical staff and facility can be held legally accountable for their neglect. Medical doctors, nurses and other health care providers must takes steps to protect the patient from injuries associated with IV infiltration complications. This includes avoiding placement of IV catheter needles at joint sites, selecting the appropriate size catheter and following proper procedures before, during and after insertion. In addition, the IV catheter cannot be tightened too securely, constricting the patient’s blood flow. To minimize the risk of complications, the medical staff is required to monitor the patient continuously to detect or identify any IV infiltration emergency. This includes making sure there are significant blood backflow into the catheter’s IV tubing while the liquid fluids are being delivered into the bloodstream. In addition, the medical staff must address any alarm set off by the equipment and check to ensure that the patient is receiving the medication and fluids at the proper infusion rate. To ensure that the standard of care is given to every IV patient, the doctors, nurses and other medical professionals at the facility should be fully trained on policies, procedures and protocols on how to effectively use a catheter to deliver fluids and medications. Without proper training, IV therapy accidents are usually caused by negligence or medical malpractice that could produce devastating, lifelong consequences. Any injury to the tissue and skin can cause significant health issues that must be addressed appropriately by skilled medical professionals. The victim of this IV negligence was about one and a half years old. The boy was hospitalized for various reasons. Emergency room staff put an IV into him. Yet, they did not properly monitor the injection site. He suffered burns across his hand, forearm, and wrist. He also sustained scarring and other injuries. His parents sued the facility. They alleged that the staff were negligent and committed medical malpractice. Following from this claim, they illustrated the boy's damages that were directly caused by that negligence: disfigurement, pain, suffering, medical bills, and related losses. Fault in this dispute was undeniably on the defendants' shoulders. Therefore, they sought the more manageable confines of settlement to fix the scope of damages. At the end of those discussions, the boy received $210,000 in compensation for his damages from this IV malpractice case. This case was brought on behalf of a two-year-old boy. He had been burned badly due to the negligent operation of an IV. The mishap occurred when he was being treated at a Chicago-area hospital. The error was so bad that the little boy even needed surgery to implant a skin craft to correct the damage. However, his parents were thankful that none of his nerves were damaged. Therefore, most of the harm was superficial, but still very apparent as the disfigurement was open and obvious. His parents brought a lawsuit against the hospital. In their complaint, they listed the failures of the defendants and cited the boy's pain, scarring, and bills as proof of their negligence. The defendant filed a summary reply. Then, the two sides began to discuss the possibility of settlement. Eventually, both sides found a number that they each liked. The plaintiffs received $30,000 in an out-of-court settlement. The man that brought this case was in his early fifties. He experienced a number of injuries while staying at a local hospital. Most of them stemmed from an IV mishandling. He experienced IV infiltration, chemical burning, and extravasation. Doctors needed to perform various surgeries and other treatments in order to mitigate the damage that was done. Nevertheless, he still felt lots of pain and discomfort. Also, he had scarring and other disfigurements across his body from the events. He sued the staff that treated him and the facility where he stayed. He alleged they were negligent in their IV usage and general treatment. He listed various damages stemming from this negligence including tens of thousands of dollars in medical bills as well as the pain, scarring, and other emotional harm just mentioned. The defendants did not press a strong defense in court. In fact, they did not offer a final conclusion to a jury. The matter ended in settlement before that could take place. The plaintiff obtained $1 million in compensation to account for this IV infiltration malpractice dispute. The little girl wrapped up in this case went through a nightmare during her stay at a Chicago-area hospital. She was just eight months when it all happened. Doctors gave her Dextrose 50%. Nursing staff overlooked her IV and that became infiltrated. She endured other injuries as well in her time there. Surgeons performed a fasciotomy in order to correct some of the damage. Although, they could not clean up all of the scarring on her harm. She incurred almost $10,000 in medical expenses, experienced extraordinary pain, and burdened long-term suffering and disfigurement. Through her parents, she brought suit against the facility and personnel involved. Her lawsuit alleged that the defendants failed to take various steps to avoid IV infiltration, medical overdose, and other, serious missteps. In a private settlement, the defendant facility offered $225,000 to end the litigation. The plaintiffs accepted. Work With Us to get the Recovery You Deserve! 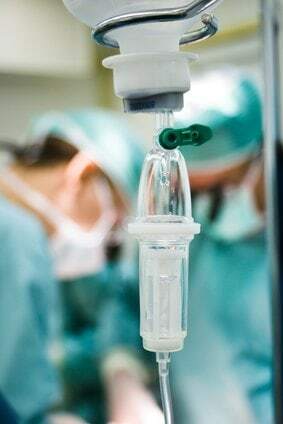 If you, or a loved one, have suffered an IV infiltration injury, you are likely eligible to receive compensation. Rosenfeld Injury Lawyers LLC specialize in medical malpractice cases including IV infiltration claims. Many of our clients have suffered serious preventable medical complications. Our experience legal team can investigate every cause of your injury, evaluate your case and determine what parties are responsible. Through effective legal action, we can build a strong case for financial compensation to lessen your family’s financial burden caused by the negligence of others. Years of experience and accomplished negotiation skills allow us maintain a high success rate in handling medical malpractice claims and lawsuits. Call our law offices today at (888) 424-5757 to schedule a no obligation, free initial consultation to discuss all your legal options.